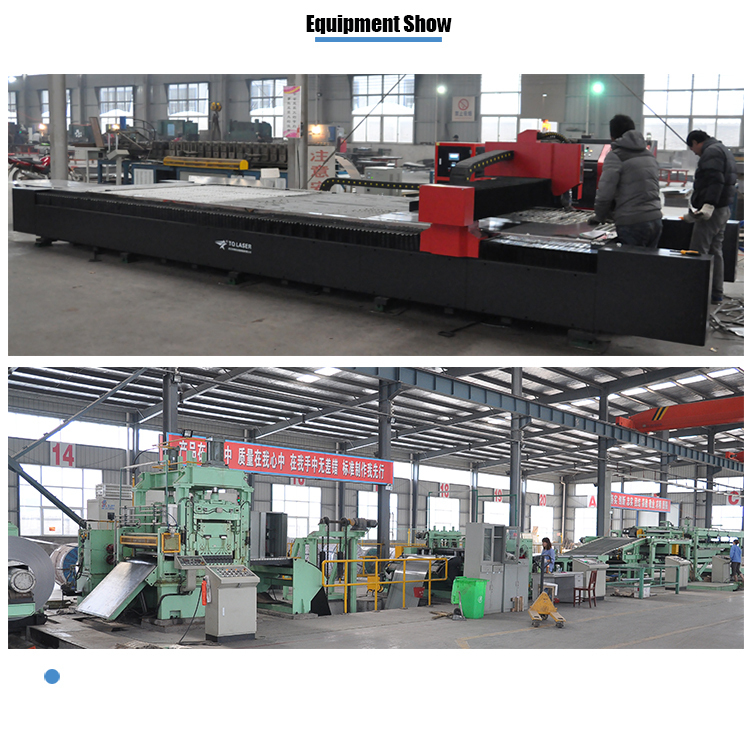 Find CNC Equipment , ATC Woodworking CNC Router, Cnc Engraving Machine on Industry Directory, Reliable Manufacturer/Supplier/Factory from China. 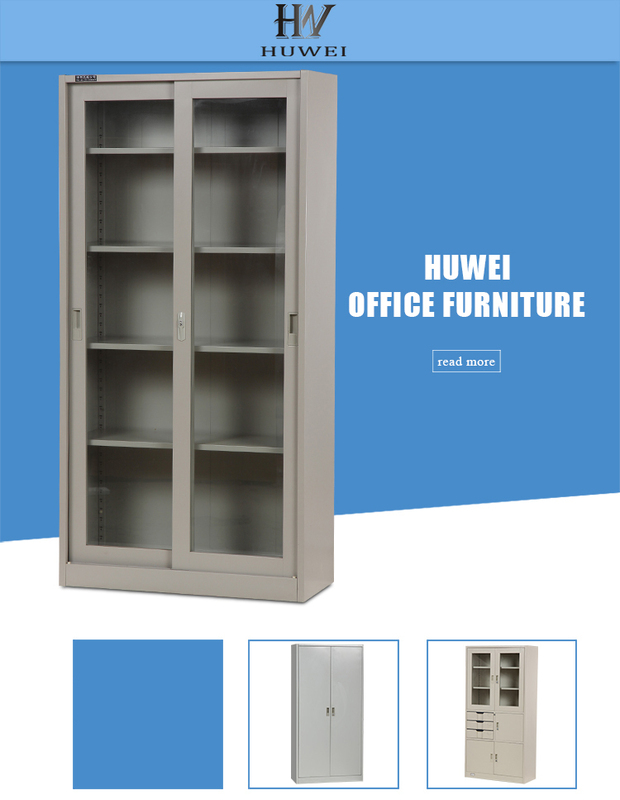 Steel office furniture sliding door filing cabinet is constructed with solid cold-rolled steel plate for excellent sturdiness and durability. Knocked-down structure which is easy for transportation and could be assembled within 5-10 minutes. The steel is also powder-coated to resist corrosion. 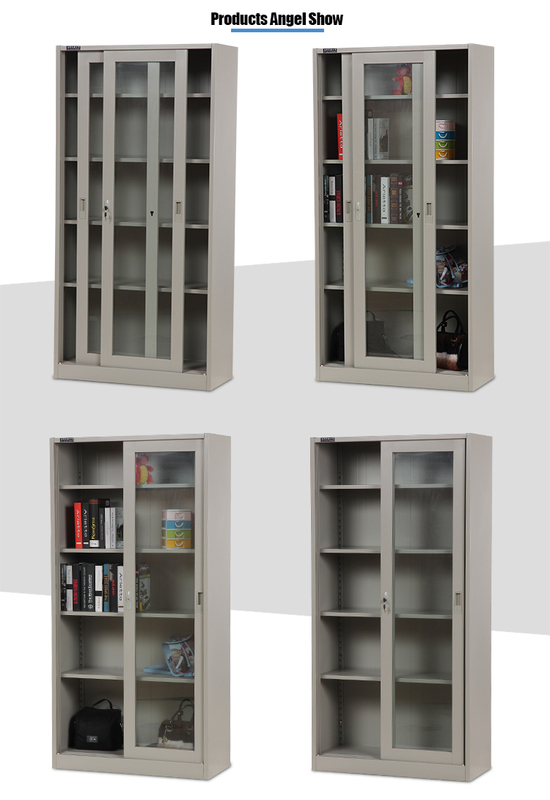 Privacy and security are assured with a simple lock and key design,with 4 adjustable shelves inside to meet your needs. 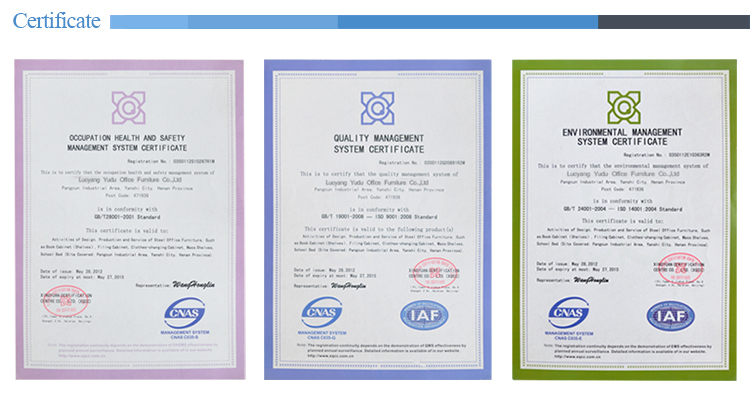 The maximum recommended weight capacity is approximately 50kg per shelf. 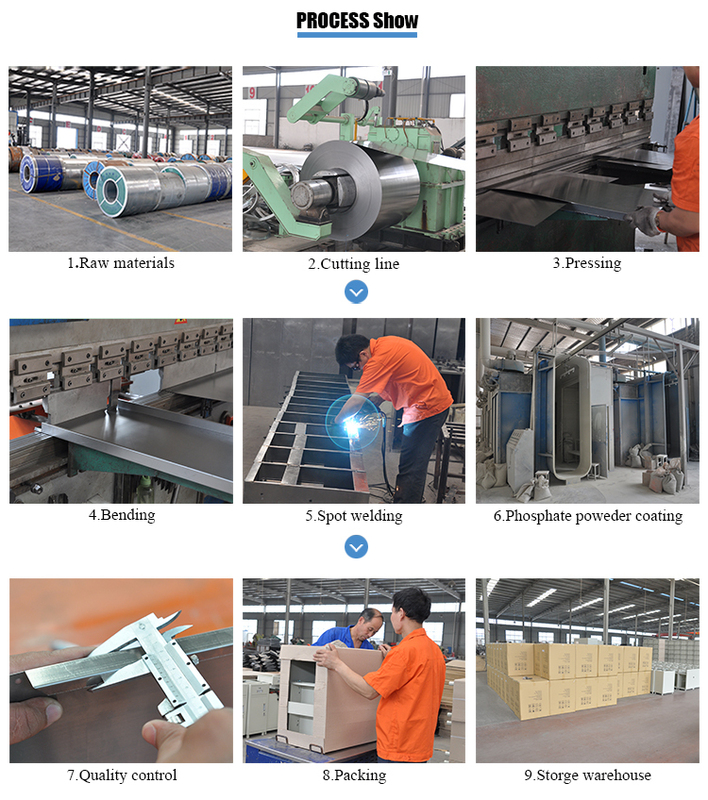 Aluminum alloy sliding rail reduce door shaking and noise,pull and push smoothly. The cam lock comes with 2 keys. Master key can be made if needed by clients. 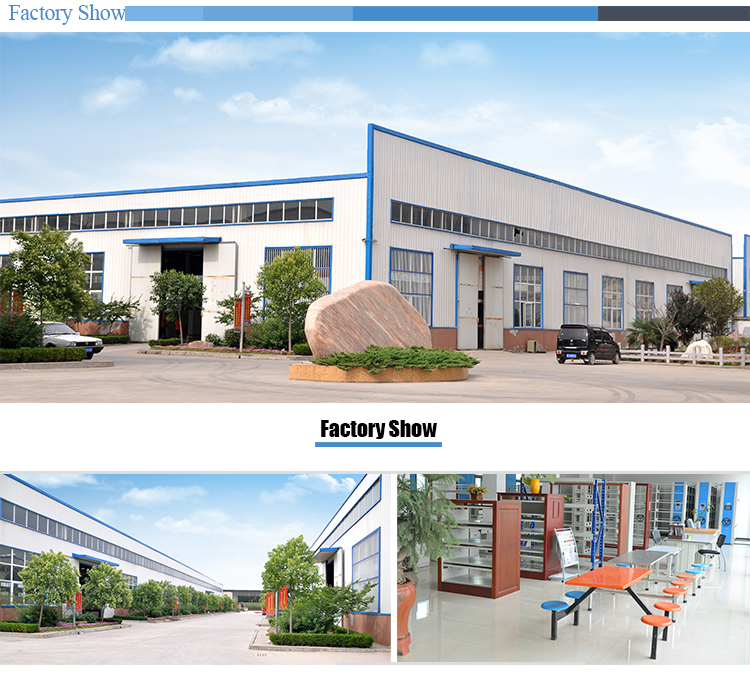 Luoyang Yudu Office Furniture Co.,Ltd. 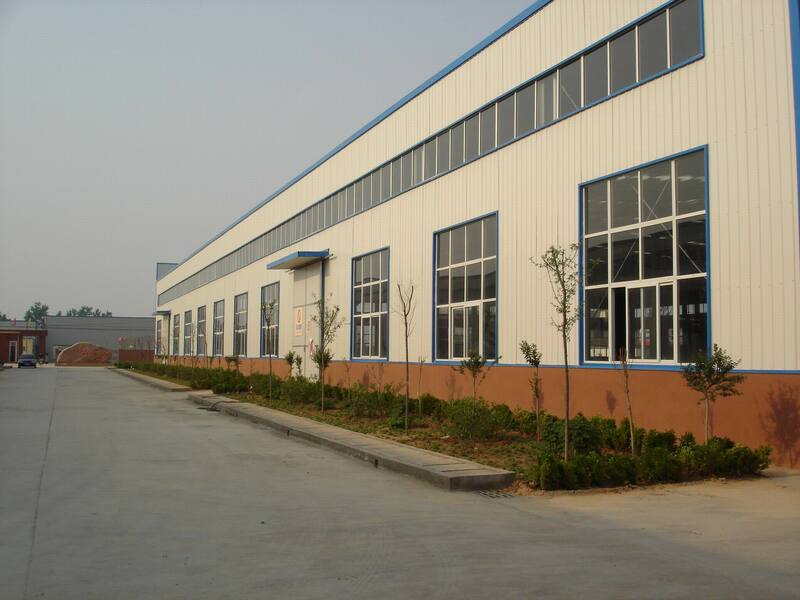 is a professional manufacturer which is specializing in product development, design, production, and sales. 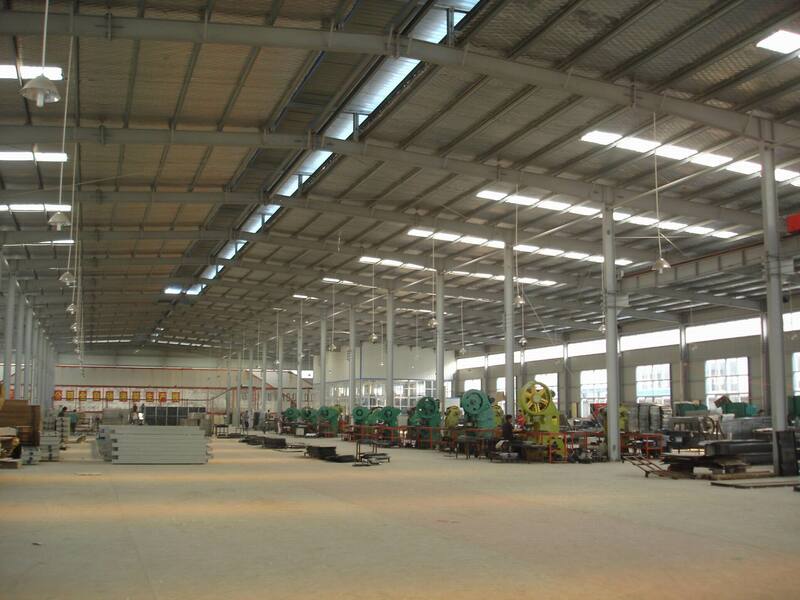 The factory is located in Pangcun Industrial Park, Yibin District of Luoyang, which covers an area of 20000 square meters, and has existing staff more than 100 employees. 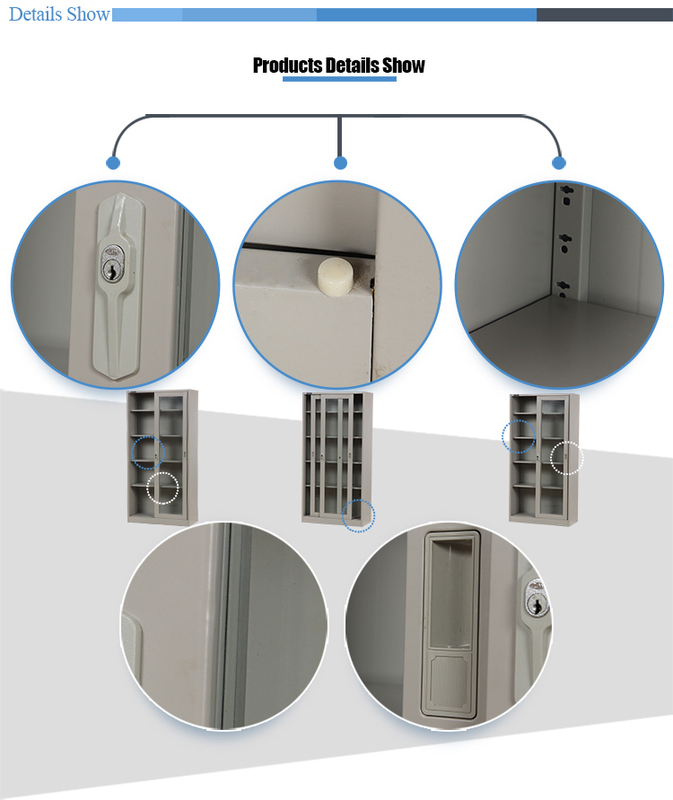 We have the most advanced production facilities and technologies, product design in modern minimalist style, covering six series with 180 varieties of steel cabinets, lockers, electronic safes, library equipment, office chairs, shelves, mainly exported to Europe, Asia, the Middle East, Southeast Asia, Africa, America and other area. 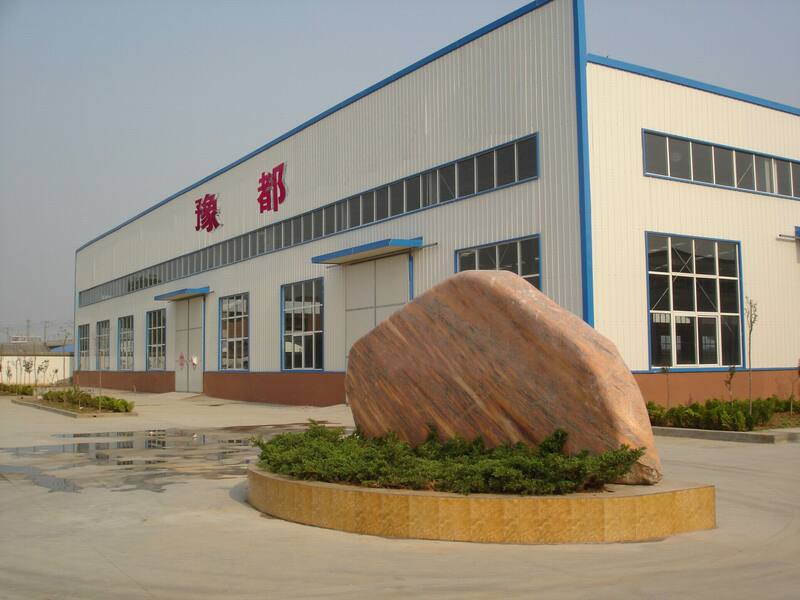 As a private company with 8 years experience of production and export, we have been committed to providing customers the most professional services and the highest quality products, which is favored by the majority of customer groups and praise. 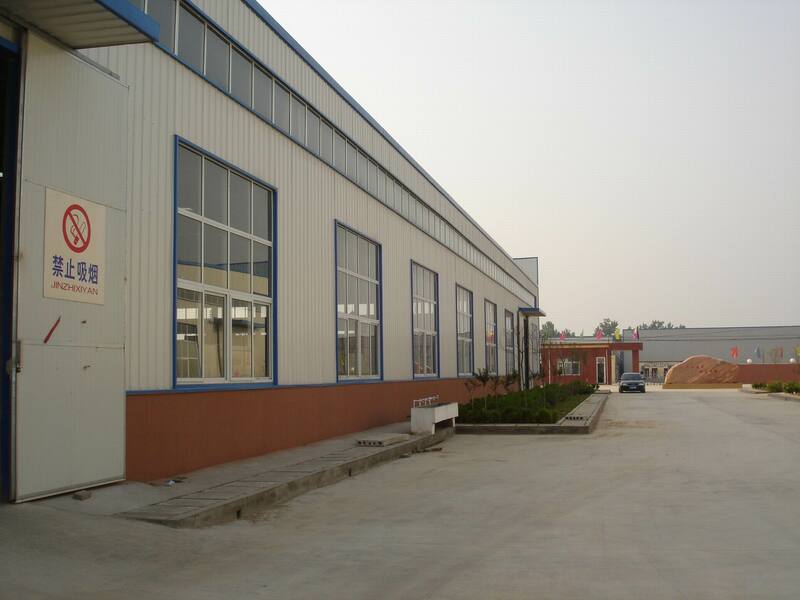 Luoyang HW Import and Export Co. Ltd. is the subsidiary of YUDU ,which is specified as the sole sales representative. So far, products have been sold around the world over 30 countries and areas, annual sales performance has been increasing year by year. The staff have 10 years of experience, can provide the integration of professional services, looking forward to carry out in-depth cooperation to achieve mutual benefit and win-win. 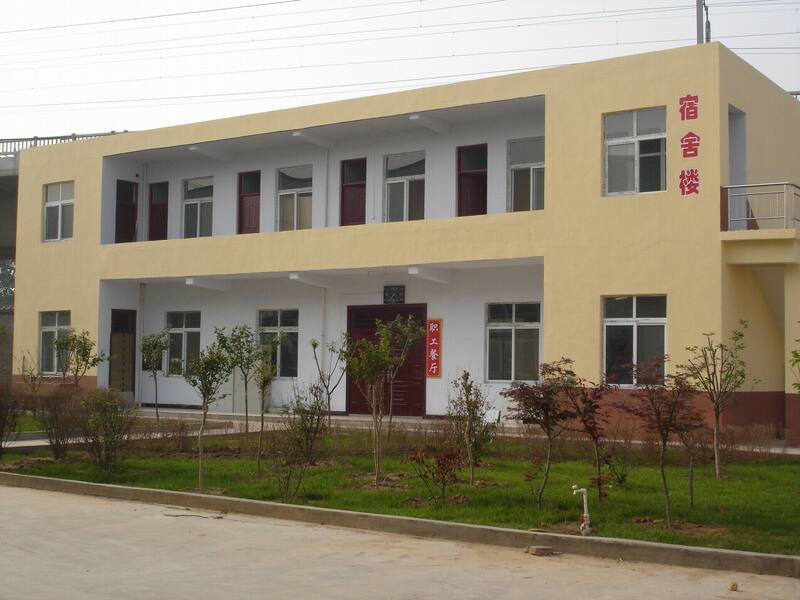 Company Name: LUOYANG YUDU OFFICE FURNITURE CO., LTD.